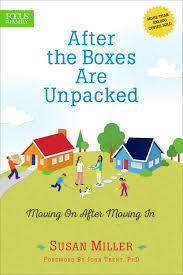 Susan Miller's empathetic and practical advice will assure you that you're not alone in how you feel about your move. She'll help you unpack and process the strong emotions that accompany such a major life transition. With this book as your guide, you'll find that the challenges you face because of a move will be used in your life and in the life of your family for personal and spiritual growth. Don't make a move without this book! Just Moved Ministry will donate a complete After the Boxes Are Unpacked study to any military chapel that will supply a facilitator. The Operation Hope kit includes the 3-disc, 12-session Video Series, a Facilitator Guide, and 7 copies of Susan Miller’s book, After the Boxes are Unpacked. If you are ordering books for an After the Boxes Are Unpacked group study, be sure your group is enrolled with Just Moved Ministry so that you will receive the discount price and a special shipping rate! Since 1990 Beverly Anderson, has been ministering to military spouses. Her vision is to help every military spouse to find their purpose alongside of their husband. Today Beverly has developed a 12 month training course teaching military spouses, how to be successful in deployments. Beverly trains military spouses how to be married to A Man of War! Beverly is a 1997 graduate of Calvary Cathedral International Bible School in Ft. Worth, Texas. She has been married to Husband Maurice, 26 years. Beverly has traveled throughout the United States and overseas, sharing the word of God with military families. A Time to Embrace A time to Refrain from Embracing 12 Month Deployment Training for Military Spouses LSSP -Love, Serve, Support, Protect To Build Our Homes through the Word of God and Prayer Titus 2:3-5. These courses were designed for the military spouse. The purpose of these courses is to train the spouse to find her purpose alongside of her husband. These courses will train you to lead your family through successful leadership during military deployments Military Spouse Training Courses will train you how to have a vision within the vision of your spouse's career. If you or your spouse is serving in the armed forces, you understand the unique parenting challenges of military families. Authors Jim and Bea Fishback, with more than two decades of military experience, have written this five-week small group study. It will help you defend your most important home front--your family. Have you ever wanted to read the Bible but didn't know where to start? What should I study? Who will help me? Making it through the Bible is a challenge, but it's worth it. That's what E100 is all about. The Essential 100 Challenge (the E100) is a new way to read through the Bible, using carefully selected Bible passages - 50 from the Old Testament and 50 from the New Testament. You'll get the big picture without getting bogged down. By registering, you will have access to all these tools and more; simply complete the Start Your Journey form to the right and you'll be on your way to start, and finish, the E100 challenge. See you on the trail! Knowing that best journeys are often shared journeys, the Group Discussion Guide is a great tool to help facilitate a weekly small group study based on the E100 readings for that week. Each of the 20 sessions contains several questions that help leaders guide their team members into a deeper investigation, both individually and corporately, of the Scripture. The booklet contains instructions for leading a small group and is therefore usable by both Chaplain and lay-led groups. As a military wife, if you have ever felt overlooked and undernourished as you strive daily to meet the needs of everyone around you—in a culture that largely does not understand your stressful lifestyle—this book is for you. Faith Deployed is not a guide to long-distance relationships or a how-to on navigating through the military culture. It does not offer “ten easy steps” for an easier, painless life. Instead, through squarely addressing the challenges you face, Faith Deployed will equip you to respond biblically to the daily struggles that threaten to wear you down. SPECIAL DISCOUNT* Save 40% off if you purchase more than six at a time. E-mail Gene Eble at Gene.Eble@moody.edu to obtain the discount. Remember, this resource is absolutely free, so download the Faith Deployed Group Guide, print it, use it! Only the leader need print out the guide, participants need only come to the group with their Bibles and Faith Deployed books. As husbands are being deployed multiple times, the women left behind desperately need encouragement and strength to maintain the home-front. Often lonely, frequently overwhelmed by the needs around her, and continually stressed by a unique lifestyle, she needs to be equipped as to how to respond biblically to the daily struggles that threaten to wear her down. Faith Deployed...Again: More Daily Encouragement for Military Wives is filled with wisdom and insight from over twenty-five Christian wives, representing every branch of the military, and explores how the Bible relates to a variety of topics and issues - including those that arise with post-deployment – encountered in a military marriage. Each devotional is based on the unchanging character of God and the anchor we have in Jesus Christ offering encouragement, strength, community, and hope to the heroes at home. Faith Deployed...Again: More Daily Encouragement for Military Wives includes a bonus section of devotions written by and for Blue Star Moms. Remember, this resource is absolutely free, so download the Faith Deployed…Again Small Group Guide, print it, use it! Only the leader need print out the guide, participants need only come to the group with their Bibles and Faith Deployed…Again books. We are honored to stand alongside our uniformed heroes who find themselves needing to be “faithful under fire”. Our heroes, just like WWII Army medic and Medal of Honor recipient Private First Class Desmond Doss, recently portrayed in Lionsgate Entertainment’s film Hacksaw Ridge, faithfully serve with honor and distinction because it’s the right and godly thing to do. For those that serve in uniform today, it still takes a special courage to hold onto one’s biblical convictions in what is an increasingly pluralistic or secular “marketplace.” The need to live faithfully in this world as citizens of our Nation while reserving our highest allegiance to the Kingdom of God is as great as it has even been. Service members pledge to serve and even die so we can live our lives in freedom. That’s a heavy burden to bear without Jesus. Receive your free copy today of Faithful Under Fire to share with a hero in your life! As a military spouse and mother (with one of her children being a young cancer survivor), Hope has faced some long, lonely nights questioning God's faithfulness and the strength of her marriage. If you've ever found yourself in a long-distance marriage and wondered if it was possible not only to survive but also to thrive, then this book is for you. Hope invites you-through personal experience, examples of others in history, and Scripture-to explore the possibility of a stronger more fulfilling marriage. Together we are stronger. Together we can overcome any obstacle. You don't have to do it alone. As a military wife, caring for your home and family is a mission that never stops. You want to support your husband while he serves, but you often wonder if you have what it takes. As someone who has been through this herself, Sara Horn will remind you with encouraging spiritual insights that you don't have to be an army of one when you are God Strong. Currently, more than one million military wives care for their families and their homes, often while their husbands are deployed out of state or overseas for months at a time. These women can experience a roller coaster of emotions including disappointment, loneliness, and fear. Sara Horn, the wife of a navy reservist, understands the challenges these women face. She knows how to talk about faith and spiritual truths through the filter of military life. In her encouraging book, Horn shares her personal stories, as well as wisdom and anecdotes of other wives from all branches of service. She reminds readers that: * God is in control. * You can have joy, no matter what. * Superwomen get grace, too. * God knows where you hurt. Horn's reliance on Scripture and confidence in God's comfort during difficult times will remind military wives they don't have to be an army of one when they are God Strong. Thank you for your interest in GOD Strong: A Military Wife’s Spiritual Survival Guide! I am so excited to share this book with you – it is definitely a culmination of everything God has laid on my heart over the last few years to share with military wives. As you read through the book, you may want to take some extra time to dig deeper into what God says about being strong, and also spend some moments really thinking through what God is trying to teach you about relying on His strength. The individual guide I’ve prepared for you is a very simple but I hope encouraging tool that will help you do those things. Each chapter has been divided into a week, with 5 days of book reading assignments, Scripture reading, and journal prompts. Military wives are entrenched at home in the battle for their marriages, their children, their faith, and their sanity, which are all caught in the cross fire. a romantic dinner, watching her husband disappear into a submarine not to return home for months, and being far away from family during her father's illness and death. families. Hope for the Home Front provides Scriptural promises, tested advice, and compassionate support. "We have a firm anchor," Waddell reminds readers: "our faith in an unchanging God whose promises never fail." A 12-week interactive Bible study, Marshéle Carter Waddell explores the emotional and spiritual battlegrounds common in the experience of today's military wife. In Our Shoes is an 8-topic study for personal enrichment or a guide to build discussion and interactions with a group of ministers' wives. It includes tips for navigating transitions to new churches, leader guidance for 8 group sessions, a group covenant, and ideas and recipes for entertaining at the drop of a hat. One size fits all doesn't translate for shoes-and it doesn't for ministers' wives either. If you serve in ministry you've encountered many Bible studies, full of truth but lacking the life issues that wives in ministry face. This study was designed and written by ministers' wives who know just what it's like to walk in your shoes. Military wives spend years, or even a lifetime, cheering for and supporting their man in uniform. It is a challenging and sometimes overwhelming task. At times, we get caught up in the day-to-day job of simple survival and forget that God has much more planned for us. Author Kori Yates is one of those military wives. In Olive Drab Pom-Poms, she challenges women in her position to seek God's calling in their lives. She guides military wives-and military wives-to-be-in how to find their place in their husband's world. Readers will learn how to face challenges, their own and others', using God's help each step of the way. And there will be challenges; in a sometimes-uncertain world of the military, that is one definite fact. Olive Drab Pom-Poms helps military wives stand in unquestionable support of the men they love, serving as cheerleaders, while recognizing that God intends more for them than standing on the sidelines of their husband's career. He has a plan for their lives, and Olive Drab Pom-Poms will help readers discover what He wants for you as you experience life as a real military wife. The reality of war is that everyone gets wounded. Some wounds heal rapidly, but some last for a lifetime. The reality is that the wounds of heart, soul and spirit have a spiritual component that is not being adequately addressed. Despite the valiant efforts of many organizations and the commitment of billions of dollars to address these issues, there remains a serious gap – the faith gap. My family and I thought leaving the Army would remove me from the dangers of war. I had survived war and had come home, safe at last. Now I could focus on being a parent and a husband. But upon leaving the Army, I entered a different kind of fight: the war for my own heart and mind. I went face-to-face with my memories, with the horrors and stresses of combat-and lost. Questions and doubts ravaged my mind: Why did I survive and my men die? Why did they send me there? Why does God allow such terrible wars to happen? Why can’t I feel anything? Ashamed of the man I had become and unable to reconcile war, I reached a breaking point. I was highly praised and decorated for leadership under fire-yet I anguished in the aftermath of war. I realized I was about to lose everything: my marriage, my family, even my life. I had led a daring rescue mission and found myself in dire need of rescuing. I had fought to keep a promise-to never leave a fallen comrade-but who would keep that promise to me? Civilian marriage is hard enough. But imagine marriage when you're separated by thousands of miles, when one of you daily faces the dangers of combat and the other shoulders the full burden of home front duties. Husbands and wives in all five branches of the military need a special resource to help them navigate marriage in the midst of it all. Enter The 5 Love Languages Military Edition. Every book comes with instructions for how to receive a FREE eBook copy for your partner. Read it together—even during deployment! This new book offers powerful insights to military families who are facing multiple deployments. Thriving Not Just Surviving is a collection of dozens of interviews and articles, many by wives of men who are currently deployed. They share their stories of God's care and provision with the hope that they will inspire others in similar situations. Additionally deployed men also speak out and share what they want their wives to know about deployment. The final chapter of the book is dedicated to reunion and reintegration. To order copies, please contact Joyce Baerg at the OCF office in Englewood, Colorado, through e-mail (joyce.baerg@ocfusa.org) or phone (800-424-1984800-424-1984). We are offering Thriving Not Just Surviving for $10 each. For orders of ten or more copies, the price is discounted to $6 each. At this point, the book is only available through OCF. When you hear the word deployment, what other words come to mind? Demanding, exhausting, lonely? Opportunity, growth, learning? Maybe you're telling yourself (as the children's game goes) "Can't go over it, can't go under it, can't go around it. We'll have to go through it!" The question is, who will go through it with you? The highly personal stories in Thriving, Not Just Surviving tell of a Savior who is willing to go through your spouse's deployment with you. These stories cover a wide range of experiences common to all spouses of deployed service members, regardless of branch, rank, or spiritual maturity. We have chosen to focus on the stories which fit best with these eleven lessons, but we encourage you to read the whole book. Each story contains golden nuggets of truth. The study questions are designed to help you apply the authors' insights to your own situation and go deeper with God. There is a Savior who wants to go on this journey with you. He is strong and wise. He knows the path you must take. Hold tightly to His hand. Tour Of Duty is the only actual Bible study for military wives in the marketplace. There are a few trade books, but not a comprehensive study. Participants will join together with others who have a common thread, husbands who are being or have been deployed. This study helps wives deal with the emotional twists and turns they may not be ready to face. It will point them to God, and participants will learn how to lean on God and not carry so much of the weight that is so often placed on them. These women will learn to practically find their hope in Christ alone. Tour Of Duty is the only available Bible study for this specific group of women, and it’s an excellent starting point for military wives to get connected with others in the military community who share this common thread. Women facing deployment can learn how to lean on God and come out of it confident in the knowledge that God is with them, He loves them, and He has not abandoned them. This study with weekly homework can be done individually, but it is better suited for a group setting where women can discuss their personal experiences. Dive into Scripture and look at the good, the questionable, and the bad choices women connected with the military made during biblical times. Michal, Abigail, Bathsheba, Deborah, and other figures offer powerful and relevant examples for military wives to study and to learn from. While it is true that women face enormous challenges as their husbands serve in the nation’s armed forces, God always gives these unsung heroes the wisdom and grace needed to please Him. The wife of an active duty USAF Chaplain, Bible Study leader and Retreat/Seminar speaker, Ronda Sturgill has been a paraplegic as the result of a horseback riding accident in 1972. From a world class arch on the United States Wheelchair Athletic Team to a Christian communicator, Ronda ministers to both Military and Civilian audiences, motivating and encouraging them to apply Biblical principles to their lives. Participation in this study encourages interaction with Scripture for the purpose of changing attitudes and actions. Each week a new principle is presented which enables us to face each challenge with greater faith and confidence in God. Through in-depth study of His Word, we learn God's plans, purposes, and promises for our lives! There is nothing more important than knowing God, knowing His will, and walking with Him in a daily relationship! 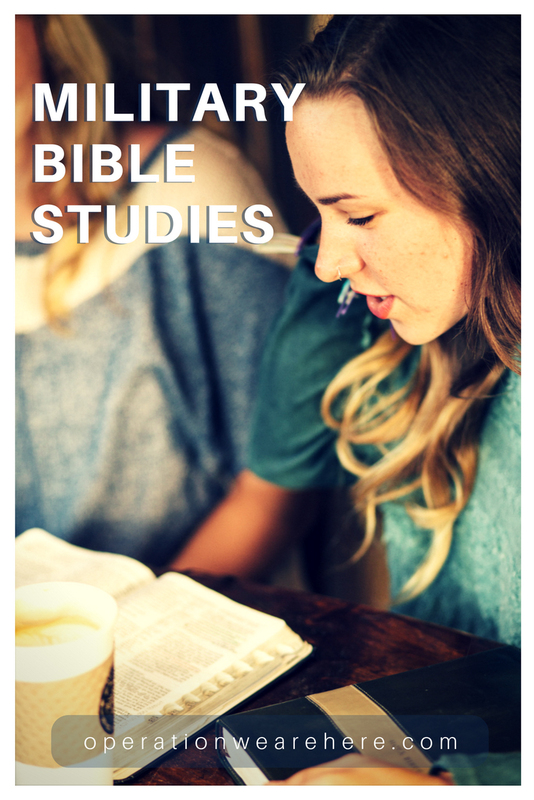 The Bible studies we make available are here to help you discover God's truth for yourselves while at the same time learning to study the Word of God. They are meant to be your individual adventure in knowing God personally while at the same time learning to study the Bible inductively. You will learn to ask and answer your own questions right from the text. You will become intimately involved with the Word, the living Word. Discipleship Training Objectives are a set of Bible study materials designed to help the learner gain an understanding of the basic tenets of the Christian Faith while simultaneously learning to study the Bible inductively. Quick Step Bible Study is a simple devotional Bible study method for those who are in situations where they do not have the time or tools for more thorough, detailed studies. Discovery Bible Study contains four lessons suitable for people who want to know how to have a relationship with God. These folks are often found in the context of following up an evangelistic event, a Sunday School class, or from among friends, neighbors, and relatives. These and other Bible study resources are available for download in digital format on our Bible Studies page. Our members may order printed copies from our Resources page. Welcome to Life of Valor. This resource has been created by actual Navy SEALs for men who want to live more honorable lives. The SEALs that protect ourcountry live by a code. This resource will challenge you to create your own code and apply it to your life. You will be able to see the codes of other men as well as create your own. You can begin your journey by watching the full resource in the video player located on the left. Pastors and group leaders can download the full resource and conversation guide by clicking "Start Your Journey Now." Get ready to change your life. Officers' Christian Fellowship offers a wide range of Bible studies in Word and PDF format. Leading Effective Small Groups - Online articles on Leadership, Tips, Growth, and Disruptions. Protestant Women of the Chapel International offers a number of Bible studies online. You can download the participant’s guide, the leader’s guide and more from their web page.